The 2018 Poppy Appeal also marked the end of the Great War of 1914 -1918, an event that was commemorated by young and old throughout the UK. In Downham on 11th November, Remembrance Day, there were services and a parade and, in the early evening, the Town’s beacon, outside St Edmund’s Church, was lit. 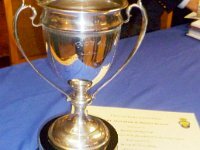 Downham & District’s Branch of the Royal British Legion played a central role in these events and for its members it was the culmination of a fortnight’s fundraising to support serving members of our British Forces and veterans. Thanks to the generosity of Downham people and the work of its volunteer collectors at the conclusion of that fortnight the Branch had raised over £30,000; the highest amount ever collected in a local Poppy Appeal. 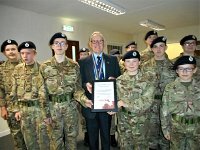 One group that volunteers regularly for the collection is the local Army Cadets force and, at a recent muster at the Bexwell HQ, they were visited by representatives of the local British Legion Branch who presented them with a certificate, in recognition of their contribution to the 2018 Poppy Appeal. During three Saturdays of the Appeal the Cadets collected almost £1,300; the third highest amount collected. 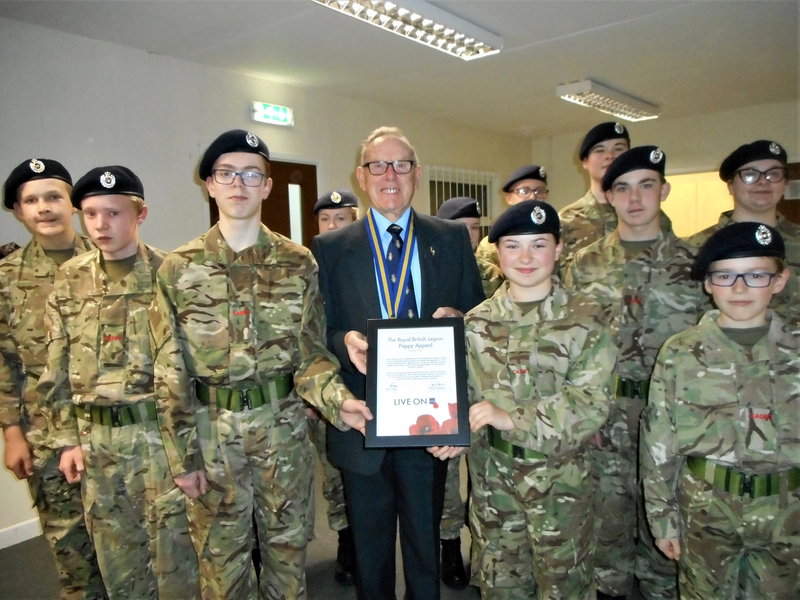 Praising their effort, Peter Mouncer, President of the Downham & District Branch thanked them for their continuing commitment to the Poppy Appeal.